Public transportation is a growing part of our lives. But the accidents caused by buses, trains and other “conveyances” can be serious. “Common carriers” that transport us for hire have a very strict legal “duty of care” to avoid causing injuries. And in addition to a general responsibility to act carefully, the public transportation industry is specifically regulated to promote safety. An attorney must have experience, and a solid knowledge of the applicable “case law” and regulations, in order to maximize the client’s recovery. It can be important to act fast, before important information and evidence is lost or destroyed. If investigation reveals that a valid claim exists, your attorney must then fully develop the facts in order to present a strong case for settlement. At times, litigation may be necessary before full compensation is achieved. 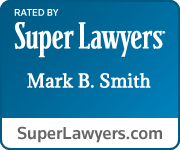 To discuss your case with Mr. Smith, please call 513-287-7447, or email mark@markbsmithlaw.com. There will be no charge for the initial consultation, and cases are generally handled on a “contingency fee” (percentage of recovery) basis.